Seems like everyone can remember a time when something like this happened to them as a child, and how much it hurt. Children still say these things to each other – and we see how much it hurts them, too. When researchers ask them, every child can remember a time when they were excluded – yet no child ever reports being the excluder! One of my listeners recommended that I read the book You Can’t Say You Can’t Play, in which the author (who is a teacher) proposes and then introduces a rule that you can’t say “you can’t play.” A few researchers (including Professor Jamie Ostrov, with whom we’ll talk today) have since tested the approach: does it work? If not, what should we do instead? Since most of these situations occur in preschool and school, teacher Caren co-interviews Professor Ostrov with me: we have some great insights for teachers as well as lots of information for parents on how to support both children and teachers in navigating these difficult situations. Haney, M., & Bissonnette, V. (2011). Teachers’ perceptions about the use of play to facilitate development and teach prosocial skills. Creative Education 2(1), 41-46. Helgeland, A., & Lund, I. (2016). Children’s voices on bullying in kindergarten. Early Childhood Education Journal 45(1), 133-141. Ostrov, J.M., Gentile, D.A., & Crick, N.R. (2006). Media exposure, aggression and prosocial behavior during early childhood: A longitudinal study. Social Development 15(4), 612-627. Ostrov, J.M, Godleski, S.A., Kamper-DeMarco, K.E., Blakely-McClure, S.J., & Celenza, L. (2015). Replication and extension of the early childhood friendship project: Effects on physical and relational bullying. School Psychology Review 44(4), 445-463. Ostrov, J.M., Murray-Close, D., Godleski, S.A., & Hart, E.J. (2013). Prospective associations between forms and functions of aggression and social and affective processes during early childhood. Journal of Experimental Child Psychology 116(1), 19-36. Jen: 00:39 Hello and welcome to the Your Parenting Mojo podcast. We’ve done a couple of episodes in the past on social groups. There was one where we interviewed Dr. Yarrow Dunham on the topic of how social groups form and then another on how children develop prejudices. Today we’re going to talk about a book that was recommended to me by a fabulous listener, Jamie in Los Angeles, who sends me a long email every time she finishes listening to an episode to tell me what she thought of it and what kinds of issues and ideas that brought up for her. So the book that she recommended I read is by a teacher, Vivian Paley, and it’s called You Can’t Say You Can’t Play. It’s a really lovely little book. It’s not more than around 100 pages and it describes how Paley thinks about an ultimately implements a rule called you can’t say you can’t play, which is to say that child A can’t say that child B can’t play with whatever child a is doing. Jen: 01:28 It seemed to me there that there’s a lot more at play here as it were than the simple making up of a role and so I found a professor to talk through these issues with us. Professor Jamie Ostrov is a developmental psychologist at the State University of New York at Buffalo, who is working to understand the development of both relational and physical aggression in children. As part of this work, he has conducted research on how media exposure impacts children’s aggression and that’s where I first met him, quote unquote. I cited some of his work in our episode on understanding the American Academy of Pediatrics’ new screen time guidelines, but media exposure is just one small part of his interest and so I’m really excited today to speak with him about his work more broadly and to understand how relational aggression develops in children and what we know and to do about it to reduce incidence. Welcome professor Ostroff. 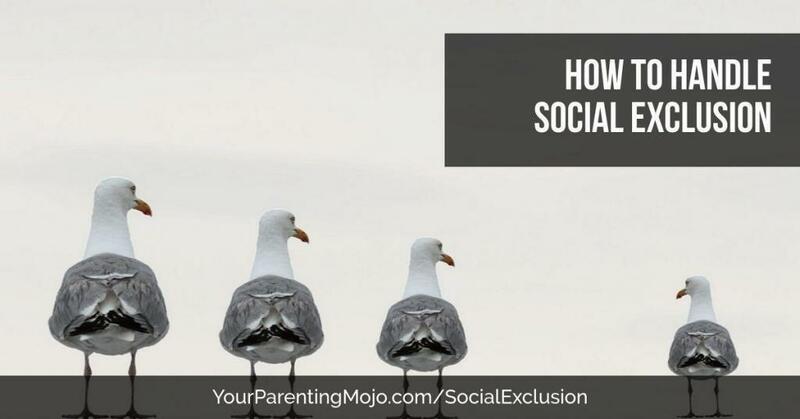 Jen: 02:15 And so because so much of social exclusion is primarily something that occurs in group settings like preschool and kindergarten in school. We also have a teacher here to help us take the theory and make it really practical. So Caren is a teacher at a preschool in British Columbia that’s inspired by the Reggio Emilia approach to learning, which has a specific focus on what it means to be a friend and on social inclusion. So my hope is today that we’re going to give the teachers among us some really practical suggestions about handling social inclusion in their schools and that parents can get an understanding of what happens in schools and how they can support teachers and creating inclusive environments. Welcome Caren. Jen: 02:53 Alright, so let’s start with a little memory test for Professor Ostrov. Could you tell us a little bit about, for those of who haven’t read it, the book you can’t say you can’t play, so what’s the story about and how did you find it and what did you take out of it? Dr. Ostrov: 03:07 Sure, so thanks for having me today. You know, the story is a… It’s an interesting story. It was recommended to me by one of our school partners by one of the directors of the childcare centers that we were doing research in and she saw a lot of parallels between what’s conveyed within the book, the overall message, the challenges within the book and some of our own work. And so for me, I definitely will, after reading this very short, very lovely book, I saw some clear connections to our work on social exclusion or what we call relational aggression. A key takeaway for me after reading this book about her struggles to implement this new golden rule. You Can’t Say You Can’t Play within her kindergarten classroom and talking to older children about some of their own peer rejection and pure exclusion experiences and the challenges that they envisioned in implementing this kind of new golden rule. Dr. Ostrov: 03:59 A key takeaway for me was first, it’s too late to intervene in kindergarten, which in some ways reinforced my view that if we want to intervene, we should intervene when these behaviors are coming online developmentally, and we’ve known for a number of years now that really it starts back in preschool, so that was the first takeaway. The second takeaway was that if we are going to try to intervene even in the preschool environment, it was going to be challenging and it would be really challenging to implement a golden rule like this that you can’t say you can’t play. In part because Vivian Paley talks about the struggles of implementing this rule. The children didn’t like it. There were some real challenges in getting them to adhere to the overall rule and even using fairytale magical story. This character Magpie this bird that can talk to the characters. Even doing all these things in a very developmentally appropriate way didn’t seem to really convince the kids in the end and so without that except ability without the buy in from the kids, I really didn’t think that this program was going to be all that effective, although I was clearly intrigued and it certainly planted a seed that later in my career I would come back to and try to address with the development of our own program. Jen: 05:11 Okay. And so you’ve mentioned a couple of things there. The first thing that I want to just touch on with Caren is I wonder if Caren, when you first start to see these kinds of behaviors appearing in children, because my job is just a little bit over three and as far as I can tell, she pretty much plays with anyone who walks up to her at this point, but I guess that must shift somewhere probably in the next year. How does that start to manifest itself from what you see in your preschool setting? Caren: 05:34 We find that now with our three year olds that are just coming in, it appears as though they’re, you know, doing more of the solo type play and just getting to know sort of how to be with other children and how to be in the same space and share toys and then later as the friendships form and the connections get stronger, that’s when we start to see more of the exclusion start to happen. Jen: 05:55 Ah. So it’s more to, I have a real relationship with you and this I want to play with you and you alone and nobody else can play with you. Dr. Ostrov: 06:04 Right. You know, a lot of sentences like, you know, we asked children like how can you be a friend with child A, but also Child B, and what does that look like? Jen: 06:13 Okay. A limited amount of love to spread around. Okay. So Jamie, I wonder if we could just talk for a minute about physical and relational aggression and also we’ve used the term social exclusion and social inclusion. Do they have different meanings or can we use them interchangeably and can you just define what those are please? Dr. Ostrov: 06:30 Sure. So first, I think it’s important to define what we mean by aggression. Aggression is the intent or children, individuals, adults, anybody who has the intent to hurt, to harm or to injure another person, and then that can manifest in different forms and so the typical forms that we study would be physical aggression and another would be what we call relational aggression. So physical aggression is the easiest to define. That’s using physical force as the means of harm and that’s the usual suspects of hitting, kicking, punching, pushing, pulling, taking things away from others. If you would ask somebody on the street what is aggression, they probably would say, oh, I know it’s hitting, kicking. The other form of aggression of what we call relational aggression is using the same overall definition of aggression, the intent to hurt, to harm or to injure another, but it manifests in a different way. Dr. Ostrov: 07:18 It uses the relationship or the threat of the removal of the relationship as the means of harm. It looks a little differently at different points in development, but some of the prototypical examples would be threatening the removal of the relationship by saying, I won’t be your friend anymore. You can’t play with me. You can’t come to my birthday party. You’re not my friend. Right? You can’t come. My birthday party is a great example because you know, the very young child doesn’t know when their own birthday party is, let alone anyone else’s, so they use that all, all year round. But we can, we can also see, uh, the use of the silent treatment or malicious ignoring. We see evidence of spreading secrets, malicious rumors, gossip and lies about others. These are all part that’s part of the construct that we call relational aggression. So social exclusion is one component of this behavior, but you know, I have no problem with using that interchangeably with the term relational aggression. When we talk about inclusion, I consider that to be part of prosocial behavior or this kind of genuine desire to help others to share with them or to include them in games or activities. Jen: 08:25 Okay. Wow. It sounds just delightful. A number of ways you can exclude somebody that you don’t want to play with, so I’m wondering how this shifts over the course of a child’s life. Do children start off being more physically aggressive and then maybe as they develop more sophisticated mental and verbal skills, they shift to relational aggression and is the process the same for boys and girls? Dr. Ostrov: 08:49 It’s a great question. So we know that developmentally physical aggression is actually quite common during the early years, but it typically drops off. There’s a sharp decline in physical aggression such that by the time we approach kindergarten and formal school, for most children, physically aggressive behavior is really relatively low and that in part is related to increases in their social cognitive capacity, their emotion regulation capacity, but also sanctions. Sanctions are higher and children appreciate that, I mean certainly as they get to formal schooling, they understand that there are serious costs to engaging in physically aggressive behavior. Relationally aggressive behavior, we’ve seen the emergence of that to occur around 30 months so that two and a half year old can start engaging in some exclusionary behavior, but it really seems to be picking up between that three to four year old period that we were talking about before and we don’t have a whole lot of longitudinal studies studies that have followed children across long periods of time to really understand the trajectory that changes in behavior or across time, but what we do know is that it certainly is quite common to engage in relational aggressive behavior during this preschool period, the three to five year old period and for many children to continue to engage in these behaviors and in some cases to shift their behavior from physically aggressive behavior to this arguably more covert form of aggression, relationally aggressive behavior as we transition into school and when we move into later periods in development, when we move into the middle childhood years and into adolescence, it’s much more common to see relationally aggressive behavior is occurring. Dr. Ostrov: 10:29 It’s interesting that as far as gender goes, the typical form of aggression, the modal form of aggression for girls is relationally aggressive behavior and that probably has something to do with their social goals which tend to be more about fostering dyadic relationships and intimacy with others, so the best way to harm a girl is to destroy a relationship that you have with her or she has with others. Whereas for boys there modal form, the more common form of aggression is physical aggression and that might be linked to their social goal of social dominance, of instrumentality, of being on top and somebody else on the bottom, and so the best way to knock somebody down is literally to knock them down from that power position. And this does change a bit throughout development such that boys and girls in early childhood, for the most part are operating within a gender segregated world where boys are playing primarily with boys and girls with girls and they’re being socialized by those peers within those same gender peer groups throughout middle childhood. As gender segregation breaks down around early adolescence and into adolescence. We actually start to see boys learning more about relationally aggressive behavior and starting to engage in those behaviors themselves, such that by the time we get to a college sample, we have boys actually reporting using those behaviors as much, if not more than girls. Dr. Ostrov: 11:58 They do; they do, and some folks have written about this to say that sometimes they learn during those awkward years were romantic relationships are first coming online. They’re often kind of the pawn in a relationally aggressive episode between two girls and they might then learn about that experience in part by just being engaged in, in that kind of conflict. And then over time they learn that the sanctions aren’t as great for engaging in relationally aggressive behavior. And, uh, if you want to harm somebody, this is a more acceptable way of doing so. Jen: 12:34 Caren, I’m curious as to how you’ve seen that play out in your preschool environment. Are there typical patterns that you tend to see? And I’m also interested in your policies. If you have formal policies or just how in general you handle these kinds of issues in your preschool. Caren: 12:49 Yeah, I think we’ve definitely over the last couple of years really been focusing on learning emotions, so emotional literacy and really getting children to. So for example, if there was an issue between two children, we would use language like “Look at your friends’ face. How do you think they’re feeling?” And in that way children are really starting to understand that the other side of what’s happening and learning about that empathy. I find that in the three year old year, like I said before, there’s more of that solo play, but then as the relationships start to form and that is why, you know now in October, in the four year old year, we’re really starting to see the connections made and how that exclusivity is really coming out. Especially like Dr. Ostrov, you were saying with the girls for sure in that relational way. Jen: 13:39 And so how do you deal with that when it comes up at the moment, if one says I don’t want to play with another child, that child can’t play this game that my close friends are playing. What does one of your teachers say if they hear that? Caren: 13:51 Yeah. So we have several strategies that we’re trying to put in place at the moment. So I’d like to get Dr. Ostrov’s ideas, but so we have something called like friendship band. So when we first start our morning, we have these bands that children that kind of pair up with another child, the teachers sort of strategically pair them together just to get children that wouldn’t typically play together to give it a try. And we’ve really found that then children are starting to play with kids that they wouldn’t normally play with. Jen: 14:21 Mmmm. That’s really interesting. It goes back to some reading that I’ve done on the fact that if you recognize another person as another person and not just somebody who’s different from me or maybe it looks different from me or acts different from me, but they’re another person and they have feelings and needs like I do, then it’s more likely to increase feelings of belonging between the two of them. I think so, yeah. That’s an interesting approach. You said that’s one of a few approaches that you use. Caren: 14:47 Yeah, and a few years back we also sort of, we had a small little room and we had a lot of dynamics going on, but as children not getting along and so we decided to make this room the friendly room so you could be in there with a friend and it was where you were friendly. If you didn’t want to be friendly then you wouldn’t necessarily go into that room. And there was also a year that we really explored social justice, like in a quite a deep way and really reflected on that during our staff meetings. And we found by the end of the year there was specifically one child that I can think of that really developed so well with using his words and with understanding the feelings of others. So we felt like that was a really a good strategy for that year. Jen: 15:30 And so I’m curious as to why this happens in the first place because in all the studies I’ve read, the psychologists are virtually unanimous on the value of social interactions to so many different aspects of learning. And children really recognize this as well. And there was a study I read about a kindergarten in Norway where they were looking at bullying and the thing that children said they liked most in their interviews is specifically playing with others and they did not want to be excluded by their friends. And when Vivian Paley asked the children in the older grades in the school where she was thinking about instituting the rule about social exclusion, every single one of them could clearly remember an incident where they were excluded. And not one of them ever said, and here’s the time when I excluded another child. So if children hate this so much and they understand how it feels to be the excluded person, why do we think they exclude others? I’m curious as to both of your thoughts on that. Caren: 16:25 Yeah, and if I could just add to that also we’re trying to understand too, if it’s sometimes it’s that child’s personality in some ways. I’m just curious to see what Dr. Ostrov says in regards to that. Dr. Ostrov: 16:39 Sure. Well it’s a complicated issue for sure, and I’ll make it a little bit more complicated for you, but try to break it down for you and the listeners. You know, in addition to the different forms of aggression, there’s also different functions of aggression. So the why we engage in the behavior, the function of aggression as opposed to the what are the forms. So we already talked about the forum that was physical or relational aggression, but the function we can call proactive or reactive and there’s different developmental correlates and outcomes of these behaviors. And theoretically, if we were going to try to intervene, we should probably have a sense of what these functions are about and why children are actually engaging in these behaviors. So proactive behavior is goal-oriented behavior. It’s instrumental behavior. It’s designed to get you what you want, so I’m going to say I’m not your friend anymore or you can’t play with me unless you give me that toy. Dr. Ostrov: 17:32 That’s a proactive behavior and it’s that kind of behavior you might imagine might be associated or higher in situations where there’s limited resources and there may be some personality or temperament characteristics that might actually be associated with a child being more prone to engaging in that kind of behavior. Whereas reactive behavior, this is more retaliatory. This tends to be a little bit more hostile, a bit more impulsive and a bit more dysregulated. A reactive type of relational aggression might be, somebody tells me that I can’t play and I say, well then fine, you can’t come to my birthday party. So in response to a slight or a perceived slight, I engage in that behavior. And again, this child that is more prone to engaging in these kinds of behaviors, they may struggle with emotion regulation, they may struggle with empathy and so the way that we might intervene for them might be a little bit different. Dr. Ostrov: 18:27 And so, you know, we’re not at the stage yet within our field to have tailored interventions for these different functions of aggression, but it’s certainly something that, that we keep in mind quite a bit because at one size fits all approach may not work to really effectively address these different functions. So for example, empathy. So fostering empathy I think is wonderful and I really love these ideas that you’re using within your school, but you can imagine how that could backfire. So for a child who is really more on this proactive trajectory, who is doing behaviors to get what they want, and, and perhaps we’ll talk about this later, it might actually be more related to behaviors that we think of as bullying behaviors. That kind of situation where you foster empathy within them may have an iatrogenic effect; an unintended consequence of actually teaching them different ways then of… now I know what they’re thinking, so I know better ways to harm them, right? Whereas the child who is on the reactive pathway, they might really benefit from that kind of approach and they might also really benefit from some emotion regulation strategies that the proactive child, they’re great at controlling their behavior. They’re using an in a very selected targeted way, so I know that complicates the picture and the story that, but I think if we want to appropriately intervene, we probably need to be thinking about how it’s not just a one size fits all approach and we really need to think about why is this particular individual or this group of individuals engaging in these behaviors and I think then the outcomes might actually be better, right? If we can tailor our work to address these particular needs, so our own work that maybe we’ll talk about later was designed in a way to try to include components that might both put the brakes on behavior, but also changed the reinforcement contingencies within the classroom such that you’re not really going to get what you want if you engage in this behavior. Jen: 20:19 Actually, I wonder if we could delve into that a little bit more now. How could we make it so that you’re not going to get what you want if you engage in this behavior? Dr. Ostrov: 20:27 Okay, well this is challenging and to a certain extent, and that’s going to be my mantra with all of this. This is not easy work, but I think it’s really important and there’s a lot of payoff if you do it right. To a certain extent. This was the part of the issue with the you can’t say you can’t play and that is that there really wasn’t sufficient reinforcement for engaging in the behaviors that you wanted. The new target behavior, the golden rule and our approach was to look at the literature and in fact there was a research project that previously was done that tried to examine You can’t say you can’t play and to see to the extent to which implementing that kind of intervention would work and ultimately what they figured out. What Amanda Harris and colleagues figured out was. It worked in some cases and just implementing that rule led to increase in liking and it probably helped those that were being victimized, but ultimately the kids didn’t buy into it, which was my initial concern with this kind of approach, this kind of program. Dr. Ostrov: 21:23 They adopted the letter of the law but not the spirit of the law, so they would say, okay, you can play, but you’re going to be the dog and the dog has to go for a walk way over there or you’re going to have some non desirable role within the play and you know ultimately, sure they weren’t actually engaging in the explicit use of those words, but they really weren’t following the spirit of the approach. And so in our program, what we tried to do was to get the kids to buy into a little bit more by not saying you have to do this, but by showing them that there’s some good things that happen when you do this, and part of that was using developmentally appropriate intervention approaches. Developmentally appropriate praise. We use puppets were we had one puppet come each week and help the children to become friendship detectives, so our Early Childhood Friendship Project had friendship detectives and the main puppet was a little dog who brought a new friend each time. Dr. Ostrov: 22:22 Sometimes they had a friendship problems, sometimes they were alternated a positive week two and then a negative week. Sometimes they were learning some new social skills and effectively it’s a social emotional learning approach. Now, getting them to buy in happened during three one hour periods a week where our interventionists would walk around the classroom during a free play period with the puppet and the puppet would try to catch the kids being good, would catch them engaging in the social skill for the week and would publicly praise them using developmentally appropriate labeled praise and the kids love the puppet. They love Danny the dog. They loved when he would come visit the classroom and they loved when he would give them that praise for engaging in the behavior. It was also an opportunity for the children to report back to Danny as friendship detectives, the things that they were seeing within the classroom that were consistent with what they were trying to implement for that week and they were praised and got high five for that, so effectively I think what we were doing there is changing the reinforcement contingencies. Dr. Ostrov: 23:25 You no longer were getting what you wanted. Everybody wanted to be praised by Danny; wanted it to be publicly acknowledged and the only way to do that was to actually follow these new behaviors, to engage in inclusion behaviors, to support friendship formation, to share, help, and include others. And over our eight week program, you know, I think the kids really kind of bought into that. At the same time, there’s a behavioral regulation piece to this to get kids to kind of stop and to look and to listen and to try to control their behavior before they act. And so that was designed to try to reduce the reactive functions of aggression. Caren: 24:02 Can I ask a question? Caren: 24:05 I’m just curious because we’ve had like Kelly, the kindness fairy, and she really noted in the classroom what happened and she left notes for the children. If she noticed something and one particular year we noticed that it started to sort of not feel authentic, the kindness that children were showing to each other. So I’m just curious how you or have you experienced that when you ran the program? Dr. Ostrov: 24:28 Yeah, that’s an interesting question. We did not directly experienced that, and I think maybe it’s because we were catching them right in the moment. They were concrete behaviors that we were looking for that we were trying to teach them and when we saw those particular behaviors, when we saw them following those steps of inclusion or friendship formation, we were right there to praise them and to label that behavior that we saw. And so I think in that case I think it was authentic. It was genuine. It was also catching them right there in the moment. The only place where I could see that kind of coming in would be the subsequent week when we would come back through and our 10 minute puppet shows usually began with a rehearsal of what we did the prior week and discussion of some things consistent with what the. You can’t say you can’t play approach would do and sometimes we would get some comments and discussion that was a little bit less authentic and trying to get that praise even though it maybe wasn’t really garnered. Right. Jen: 25:26 My listeners know, I’ve been sitting here biting my tongue for the last three or four minutes. We did an episode a while ago on punishments and rewards and you know, very behaviorist approach and the fact that you can use them and children will do what they need to do to get that praise. But I’m curious of what both of you think about are we really changing the way children think about playing with other children or are we just putting them in a situation where the puppet comes around, they know what they have to say and so they produce that behavior? Dr. Ostrov: 25:55 Yeah, that’s a great question. I mean, here’s what I can share with you with some data. Dr. Ostrov: 25:59 Yeah, well, I mean so, but certainly within our project over this period of time, we saw reductions in relationally aggressive behavior. We saw increases in pro social behavior. This is after we left, so when there’s not active praising, so it doesn’t suggest to me that that’s situational compliance because the puppet’s not there in the room anymore. When we come back to do our independent observations, I can also share with you another study that looked at praise in and of itself and so teachers… This was in second grade now, but teachers who displayed more praise as opposed to reprimands, their students actually had a slower rate of increase in relational aggression, so it kind of slowed that increase in relational aggression. Whereas teachers who engaged in lots of reprimands for behavior, they had an faster rate of relational aggression over time, so I hear what you’re saying for sure. Dr. Ostrov: 26:50 I think in situations where the praise is very much tied to the behavior itself and where you’re trying to promote a new social skill, a new behavior, I think that it’s okay to do that, but I think you have to do that in an inappropriate way. I think you have to be genuine with how you’re praising; I think you want to label it and make it clear why the praises warranted and you want to reinforce it with discussion about why we want to engage in that kind of behavior so that it’s not just an extrinsic thing but actually becomes more committed compliance and they internalize those new norms for behaving. Certainly we don’t have longterm followup data on these children, but we have anecdotal evidence from parents who tell us that their kids are still talking about, you know, several months later, even a year later, we had a family tell us that their child looked at our certificate that showed the pictures of the puppets and said goodnight to them every night. And it seemed to have an impact on them that endured. So I think the jury is still out on that, but I think as a component of how we intervene, I don’t see a reason why we can’t do that. Jen: 27:53 I wonder if shifting the language a little bit could help and could it be more of instead of good job you shared your toy or whatever it is, you know, could it be more of, hey, did you see how child A’s face really lit up when you gave him that? When focusing on the outcome of the behavior on the other person. So not only do you learn about what yourself and what you just did, but also the effect that it had on the other child. Do you think that would be a valid approach? Dr. Ostrov: 28:20 Absolutely. And I’m sorry if I wasn’t clear. I mean that’s certainly part of what we’re trying to do as well. So when we have the two puppets we’re really focusing on, you know, how that made them feel, their emotion, why it’s good to engage in that behavior to the extent that you can show emotion on puppets, because that’s a challenge. But you know, having those elaborative conversations that are focused on emotion, really, there’s also evidence that suggests that that should work. You know, parents who talk to their children about relationally aggressive behaviors. Now this is based on hypothetical situations, but parents who have a more elaborative style where they’re encouraging children to think about why certain things happen, they asked lots of open ended questions and they do so with emotion references, so “Look at..you know, the facial expressions of that character and how do you think they felt when this happened and how would you feel in this story?” And making emotional statements about the conflict scenarios. Dr. Ostrov: 29:18 They saw reductions in relationally aggressive behavior in this preschool sample. Whereas those parents, those moms who were using less effective maternal coaching, they called it. They didn’t respond to the child’s language. They didn’t respond to cues about emotion. They didn’t elaborate and use open ended statements. They actually saw their kids stayed on that high relational aggression trajectory. So discussing peer conflict in a an elaborative style and an emotion focused style. That’s not just something that parents should do. Teachers should be doing that as well when you are encountering these kinds of conflicts and presumably that would also lead to reduction in the bad behavior. Jen: 29:56 Caren, is that the kind of thing that you’re already implementing as well and have you seen it be impactful? Caren: 30:02 Yes, for sure. I’m curious too, with your program, did you share resources with the parents to sort of put into practice at home? Because for us our programs just two hours, two times a week or three hours, three times a week depending if you’re three or four and so you know, we sort of say we practice it so much at preschool but if it’s not being put into place at home then perhaps it’s harder for that child for that to become like a natural way that they’re dealing with conflict. Dr. Ostrov: 30:31 I totally agree. Unfortunately our program is only a school-based program. Certainly we’re cognizant of that issue and we had thought about ways to include a parent component. We have further thoughts about how to do that and goals to do that, but we have not done that to date. And in part that was part of the motivation for my colleague Nicole Werner who was at Washington State University to do the research that she did on the role of parents and the kinds of coaching styles the parents could engage in was because the existing intervention work was all school based and focused primarily on what teachers could do. And so she was trying to see, you know, is there a way that we can learn something here that might transfer to the home environment? And so certainly moving forward, I think we would want to have a parent component to reinforce this. We told parents what we were doing, they knew what we were doing, we asked them to reinforce, you know, supporting the social skills, but we have no idea about the fidelity of that. We don’t know whether or not they actually did any of that. So it’s a great, great point. Caren: 31:31 And I’m just curious too… So we found definitely like the way that we approach, you know, learn with emotional literacy, the friendship, the kindness, very overall. We would say that that made a big difference within our program. Many children were really coming along and understanding that way of thinking and being empathetic and for the one or two children that maybe that wasn’t working for, you’re constantly trying to find that way to kind of reach them and it’s hard to know at what point is it just because there’s something else going on for that child that they just can’t sort of learn how to be empathetic. Dr. Ostrov: 32:06 Yes. It’s complicated. There are a lot of individual differences. Some children are going to really take advantage of. These kinds of opportunities are going to thrive, especially the children that are victimized are going to benefit probably the most from these kinds of experiences. It takes a lot to get those that are the most aggressive, getting the most out of these experiences to truly change their behavior and to buy in. I would argue that this approach is better though. An overall classroom universal approach is the better way to go because the other approaches where you pull children out, you work individually with the child who was engaging in the problematic behavior and then you put them back into that environment. We know that those kinds of approaches simply don’t work as well in part because that child may effectively change their behavior, but the rest of the children in the classroom treat them as if their behavior never changed. Their reputation precedes them, right? Dr. Ostrov: 33:02 And so it’s better to try to perhaps do it together. Right, so you individually work with them as needed to promote whatever skills they might be lacking and sometimes those are language skills. Sometimes those are social emotional skills. Maybe it is empathy, but then also to try to do something at the level of the overall classroom. Otherwise you’re not going to get that longer change; those better outcomes, in my experience. Jen: 33:27 And do you think that’s the case whether you’re talking about the quote unquote aggressor or the victim that both of those scenarios should be worked on within a classroom setting? Because I think some programs tend to focus on, well, this child has poor social skills and thus they can’t make friends and so if we can improve their skills, they’ll be able to get out of this position of being socially excluded. Is it always better to take this from an entire classroom based focus or are there times when it does make sense to attack this on a one on one basis? Dr. Ostrov: 34:00 Yeah, from my perspective, I think that there certainly are situations where individual work is needed, but if you only do that individual work, I think as I was saying, I think that there will be some problems. I mean you also mentioned might we adopt a different approach for victims versus aggressors? Our approach has been that if we teach these skills and we changed the overall classroom climate effectively, we are going to handle the issues that are most relevant for both victims and aggressors. I will just say a couple other things. You know, observations that we’ve made over time that I think are important, should somebody try to do something like this. The first is that we do need to be cognizant when there are victims because there will be, we need to be cognizant of their own state of being, you know, wellbeing at that moment and that it’s not appropriate in my view to bring the victim and the aggressor together right there at that moment and that if you do that, you run the risk… Now it may work for some kids, depending on their background, their emotional state, et cetera, but especially if they’re a true victim, a chronic victim. Dr. Ostrov: 35:02 You run the risk that bringing them together; it might actually revictimize them, and it may be reinforcing the aggressive behavior. There may be cues that the victim is giving that may be reinforcing to some aggressive children and so it’s better to wait until that victim isn’t a place where they’re ready to accept a genuine apology as opposed to a forced apology. Or if you are going to engage in some kind of restorative justice practice. To do that at the moment where the victim is able to take advantage of that. Otherwise, it may backfire and you may not understand why you’re not effecting change in the classroom and it may be because of that particular approach. So that’s one of those lessons that I think we’ve learned is to give some space and give some time. You don’t want to wait too long, but you don’t need to do it right in the moment when they’re actively crying and venting emotion may actually backfire. Jen: 35:56 Yeah. Knowing what I know of three year olds, that makes perfect sense. Dr. Ostrov: 36:01 The other one, if I may, the other lesson that we’ve learned, I think I heard a little bit of this before and I really liked how it was phrased before, but I think that there’s a tendency for this to backfire as well, and that is the phrase, use your words. So we, we often as early childhood providers, parents, clinicians, we often use that phrase to young children and it makes me a bit nervous because it’s not clear to me that young children really understand what we mean by that and so it’s better to actually scaffold that for them and put it into the appropriate context. And tell them exactly what you want them to do. What kinds of words do you want them to say? Even a basic “use kind words,” right? Nice words. Otherwise it’s giving tacit approval to engaging in relationally aggressive behavior. Dr. Ostrov: 36:49 I’m not hitting, I’m using my words and we’ve seen that quite a bit where a teacher will say this in an offhanded way to remind children what the policy is within the classroom and how to appropriately behave and they just don’t get it. And it actually then transfers their behavior from physically aggressive behavior or to verbally aggressive or relationally aggressive behavior. So that’s another one that I think we need to be careful of. And then the final lesson that we’ve learned is that teachers within classrooms need to be mindful of how they are engineering their classroom because there may be unintended consequences of the way that the room is structured. So I love this friendship room that we’re hearing about before or friendly room, but if you’re within one classroom and you have a center where only two children are allowed to play or two children can be at the writing center or in the book corner, whatever it might be, that also is giving permission to children to engage in social exclusionary behavior and they do so with the full authority of the teacher, right? So rule is that only two friends allowed here so you have to leave, you can’t play. And through our behavioral observations in the classrooms, we see this time and time again that when this rule exists within classrooms and there are good reasons why it might, children will take advantage of it. Jen: 38:02 Okay, good to know. So I feel like I can answer this question already, but I want to be sure that I’m kind of reading what we’ve talked about, right. If we bring this all back to the context of Vivian Paley’s work. She had this rule: You can’t say you can’t play. It seems as though what we’ve arrived at is that such a blanket statement. Even if you really talk about it with the children beforehand and you’re not just talking to the children, you’re getting their feedback, you’re getting their input. Such a blanket policy is unlikely by itself to be successful. Is that where we’ve landed on this? Dr. Ostrov: 38:35 I think so. The research project, the randomized test of that approach really reinforced that idea that it’s probably not going to work in the way you want it to decrease exclusionary behavior. Yeah, it’s a lovely idea and we wish it could work in practice, but the reality is that it probably won’t. Okay. Alright. So, and I went to kind of bring this back a little bit because a lot of my listeners are parents, they’re not teachers and so they may be hearing about something like this from their child or from the child’s teacher. They may hear, you know, your child was involved in an incident today where he said something mean to another child or he pushed or whatever, some kind of aggressive behavior, or maybe your child was pushed or somebody was mean to your child. What should parents do if they hear about this from their child or from the child’s teacher? Dr. Ostrov: 39:21 Well, if I may, I’ll try to be brief with my response here, but I would say that the first point is to take it seriously. We know in the literature that parents in particular for relational aggressive behaviors that parents report that they would have lower levels of negative effects so they’re less upset, angry and sad and a lower likelihood of actually intervening for relationally aggressive kinds of behaviors relative to physically aggressive behaviors. And so I think that that’s really important. In addition, even when they did report that they would intervene for relationally aggressive behavior. They reported that they would be less likely to indicate that a rule or expectation for behavior had been violated. So they typically view relationally aggressive behavior, not to be hurtful or harmful and to be kind of normative the way that children are children and they do this stuff and get over it and those kinds of thoughts I think are potentially really problematic. Jen: 41:13 And how do you define tattling? Then if reporting is something that keeps people safe, is tackling something that doesn’t? Dr. Ostrov: 41:18 It’s really not. It’s not. Tattling is actually is getting people in trouble and his mean behavior is not okay behavior and we try to really stress that that reporting is about safety. So if somebody is injured, if somebody is crying because they fell down, if somebody is using me in words or hurtful behavior, then that’s when we want to keep our friends safe and report that to a grownup, whether it’s a parent or a teacher and tattling then is not doing those things. Right. So under situations where you’re just doing it to get something or to be mean. Jen: 41:52 Okay, and so you touched on something that I want to talk about a little bit more; the idea that rejection is just kind of a normal part of life. There were a couple of professors at Berry College who did a study about what teacher trainees thought about implementing the You can’t say you can’t play rule. And the trainee teachers who responded to this survey kind of just said, you know what? Life is about rejection. We get rejected in life and this training that children are getting as early as the preschool and kindergarten years is just kind of part and parcel of getting yourself ready and getting tough and getting used to the rejection you’re going to encounter in your life. Is there a danger we’re going to make preschool and kindergarten lovely and accepting and then we get to school and kids are just as engaging in the kinds of aggression that we’ve discussed in just the same way and now we find that our child is not ready to deal with that? Caren: 42:42 I feel like because now this is maybe our fourth year really focusing on emotional literacy, social justice, friendliness, and I think Dr. Ostrov talked of this earlier too, that you know, children that were in our care maybe two, three years ago. We see them a couple of years down the road and we’re getting emails a parent saying “children are now coming to this one to my child to help solve problems” because they already had those skills. So I just wonder if the more children are equipped with the skills early on that perhaps these kinds of behaviors will start to change later on. Dr. Ostrov: 43:17 I totally agree with that and I would say my response to this, I certainly appreciate and understand this response and I’ve heard it before from experts in the field even, but I would say that whereas we’ve rejected the notion that bullying is a rite of passage.,I think we also need to reject the notion that peer rejection and exclusion is just part and parcel of growing up. If we can change the culture in kindergarten and if that can continue within first grade and second grade, then we have an opportunity potentially to teach children important skills, social skills, emotional skills, social cognitive skills that then set the stage for them to form meaningful friendships and relationships that propel them on this good adaptive trajectory. And the longer they’re on this good positive, adaptive trajectory that probabilistically the better the outcomes. And I think the earlier we can initiate that, the better it would be. Dr. Ostrov: 44:11 So I kind of reject that notion that this is the way it is and it’s the way it always has to be. Maybe I’m just an idealist here, but I do think that if we can, if we can focus collectively on social emotional learning and teaching children how to appropriately treat others and giving them the skills to form meaningful high quality friendships and relationships, it’s going to have all kinds of benefits to not only their lives but others and I think that that’s our obligation as educators, as parents, as clinicians, to try to give them those skills to give them the best start possible. So I reject that notion and I think we should continue to move forward trying to support young learners in this very challenging, challenging domain. Jen: 44:52 It seems as though a shift in teacher attitudes as needed as well then. Right. If the teachers who are being trained now, you know, this is our next generation of teachers coming through, they think relational aggression is a normal part of childhood, we need a mind shift there. Jen: 46:13 Yeah, even the third graders were saying that, weren’t they? Dr. Ostrov: 46:17 They were. Exactly. Jen: 46:18 Yeah, what a powerful way to finish, that we could have such an incredible impact on our children’s lives, so much further down the line by using these strategies and developing skills and our children that are really gonna help them for years to come. Thank you so much to both of you. That’s been an incredibly enlightening episode. Dr. Ostrov: 46:35 Thank you. It’s my pleasure. Caren: 46:37 Thank you very much. That was wonderful. Jen: 46:39 So our listeners can find all the references for today’s show at YourParentingMojo.com/aggression, And Dr. Ostrov has a book coming out next year. It’s an edited volume on the development of relational aggression and I will make that information available to subscribers of the show through my newsletter when it comes out. Thanks so much. Curious where Dr Ostrov found the data about Relational Aggression starting as early as 30 months. I couldn’t see it in the references. That sound crazy early! Not disputing it, genuinely curious! Oh no, the link seems to be broken. I could make some key words from the web address though and it looks like he talks about a paper by Crick, 2006 “A longitudinal study of relational and physical aggression in preschool”, right? Oh, sorry about that – I was trying to make it easier for you, not harder. The study is: Crick, N. R., Ostrov, J. M., Burr, J. E., Jansen, E. A., Cullerton-Sen, C., & Ralston, P. (2006). A longitudinal study of relational and physical aggression in preschool. Journal of Applied Developmental Psychology, 27, 254-268.